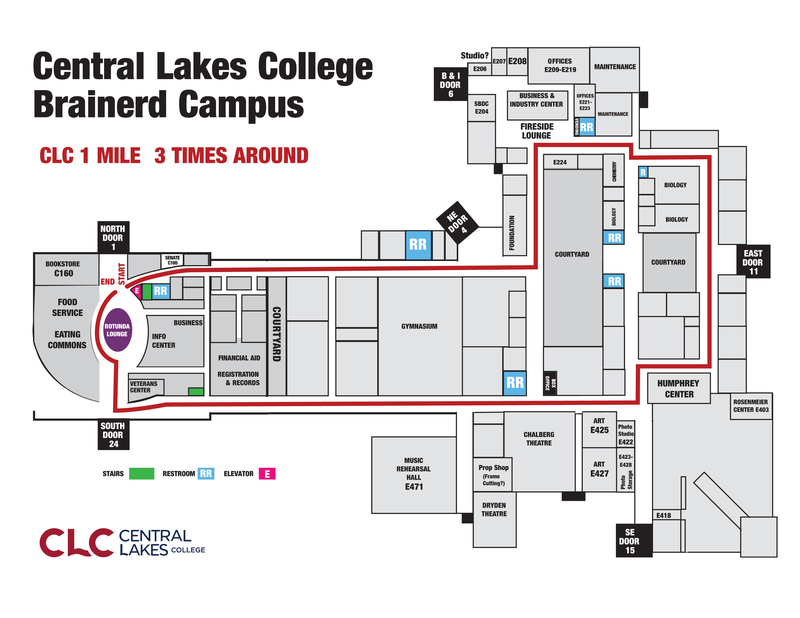 The CLC Mile is an indoor walking path designed by the students of Central Lakes College, and it’s located on our Brainerd Campus. The CLC Mile was designed with the intent of promoting healthy lifestyles for students and the communities that we serve. It includes two different routes for members of the college and community to enjoy. 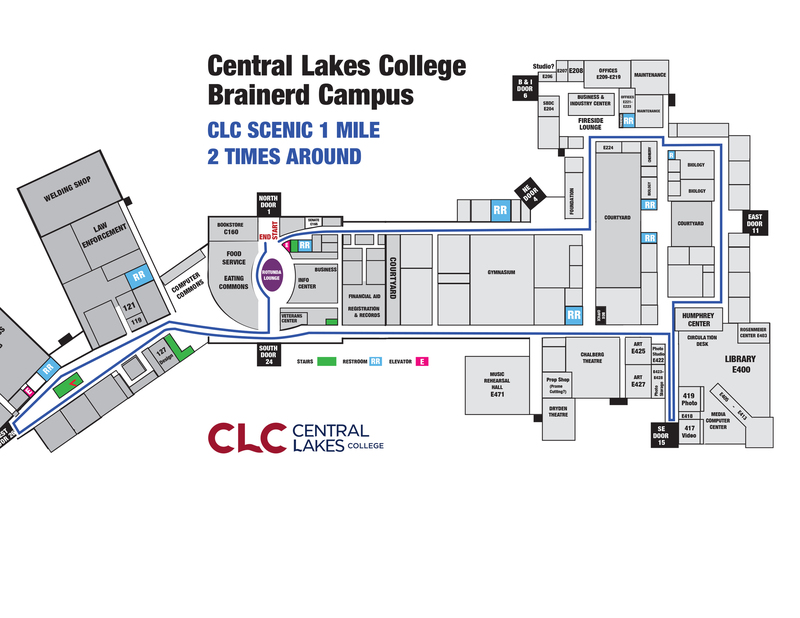 The CLC Mile is open during normal college business hours.